I. Am. Lit-up…and exhausted (in a great way)! Three weeks ago, 250 makers, entrepreneurs, artists, moms, dads, therapists, consultants, musicians, trainers, tradespeople, designers, doctors, managers and all form of world-shakers dropped into a 130-acre playground in the woods for 3 ½ days of magic. 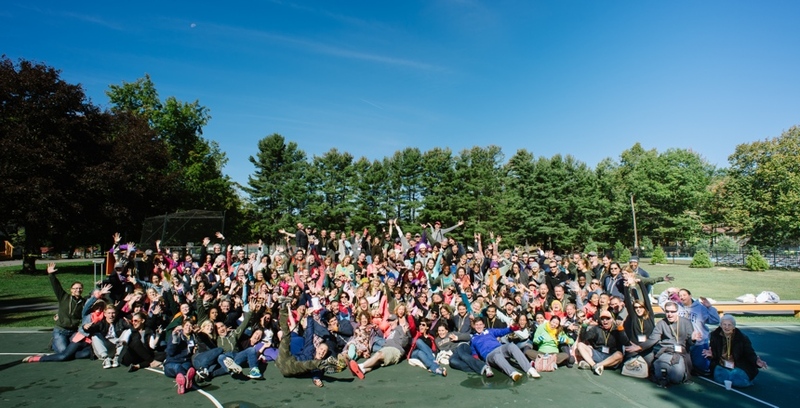 Yes, the first annual Camp GLP shook the world. Or at least a little slice of it that is about to send ripples into the stratosphere. What started as a dream – to create a connection revolution, a global gathering of humanity, became a reality. A safe, joyous playground for people to come, let go of the facade, learn and leave lit-up, fiercely-connected and inspired to make big things happen. From Australia to London, South America to Scotland and the Dominican Republic to British Columbia, one-by-one people arrived. Not knowing what to expect. Many, admittedly, apprehensive. Still, they came. And played and fell in love and stayed up all night laughing (and maybe a little shivering, lol). Tech founders wore capes and made friendship bracelets. Artists learned how to tap technology and podcasts to build careers and community. 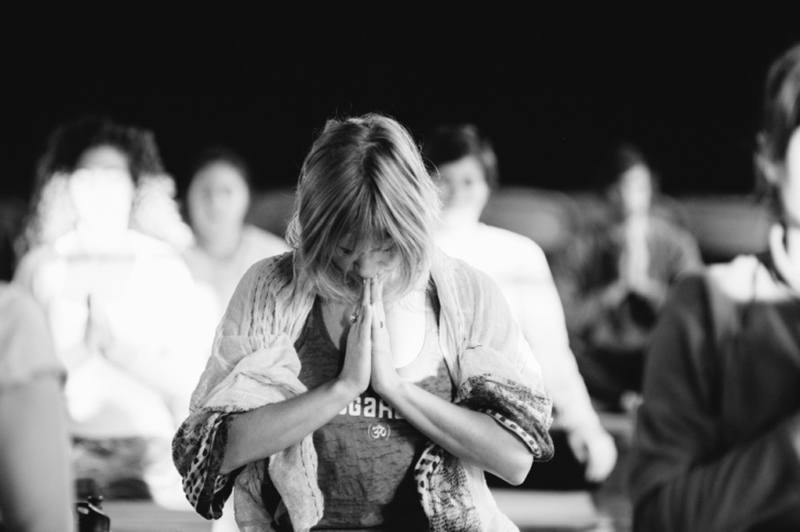 Entrepreneurs learned to drop into mindfulness and movement. Corporate types (yes, they were there, too) reconnected with play and purpose. Perfect strangers from around the globe. Laughing, hugging (there was lots of that), being real. No facade. Somehow, everyone got that’s what this was about. It was an invitation to plug back in. Both to what matters, and to who you are. To own your “good-enough-ness.” Then exalt it. And from that place, open a window to accelerated-growth on every level, business, personal, creative. Lifelong friendships, beautiful relationships and collaborations started to bud. People who most often hid in the shadows stepped into the light, revealing parts normally shielded. No thought of judgment. All in. As much as my wife, Stephanie, and I and our whole ridiculously talented and generous and soulful crew were “working,” we all felt like we were part of that something bigger in a very profound way. Swept up. By the end, something bigger had happened. Something near impossible to describe. Thankfully, we had the amazing live-edit team of Sarah and Brent Thacker filming and editing this gorgeous three and a half minute mini-doc that gives you some idea. What inspired 250 people to get on a plane, travel across the world (seriously, we had a number of campers from Australia, and they didn’t even know each other) to come to something we created largely out of thin air? How do we keep this amazing community and gathering both growing and still deeply, magically, transcendently connected? I’ve asked these questions to a lot of people. Some of our campers are our eternal family. Friends, members of the community who’ll raise their hands to come to pretty much anything we do. But, many more were first-timers. Many, in fact, hadn’t heard about Good Life Project or me much before deciding to come. 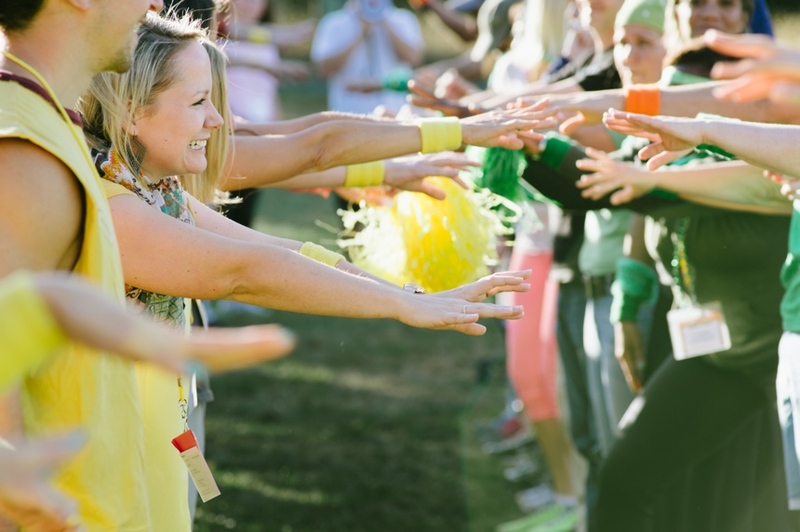 There’s this sense that raising your hand to come isn’t just about going to another event, it’s a rally cry to reconnect with life and with others who want to do the same. Funny thing is, as I’m doing this debrief about what inspired 250 people to traverse the globe to come to an event that had never happened before, I also happen to be smack in the middle of launching a training I teach once or twice a year called RevolutionU™, focused on building businesses, events, careers and more by harnessing the power of movements and revolutions. That, I realize, is a lot of what’s really going on with Camp GLP. Of the 18-elements laid out in the Art of Revolution guidebook, I start thinking about which are present in bringing camp to life, and quietly saying to myself, “check, check, check, check…” Huh. That’s when I realize, I’ve been working with these concepts long enough that they’ve just become part of the fiber of how my team and I build things. 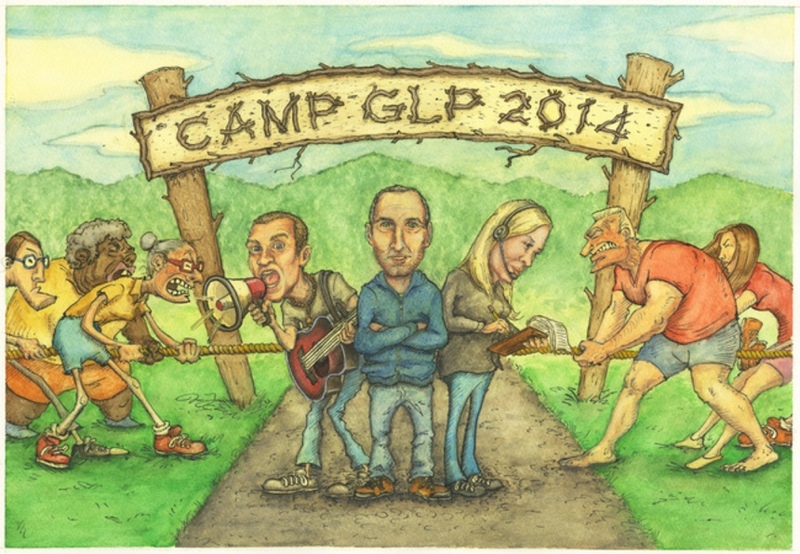 We didn’t go out and say “hey, come join the Camp GLP revolution.” We didn’t anoint it a movement. And, thing is, you don’t have to. You don’t have to make a big public declaration for the ideas to just “work.” That’s not what it’s about. It’s really just about understanding the deeper psychology of what moves large numbers of people to action. Telling your story in a way that connects. Making clear what you believe in, what you value and what you don’t, who you want to serve, where you want to take them and why. Then, most important, delivering on the promise. I make no illusions. We still had to work hard to make camp happen. Really hard. Ideas still require effort and execution. And the fact that we’ve spent years building our community around strongly held and stated beliefs, values, aspirations and conversations laid the foundation. 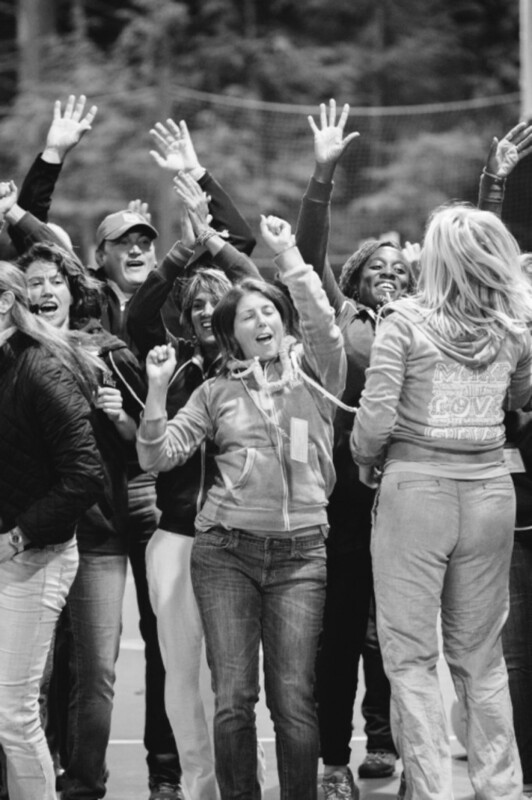 All of this cultivates the trust needed for people to raise their hands, then show up open to the possibility of fierce, deep connection and joy and elevation and freedom. We’ve seen it happen now at camp, at our annual Good Life Project Immersion programs and a number of other retreats, gatherings and events. It’s like we’ve been building a stealth revolution where nobody has to publicly declare I’m in or out, you just have to vibe, come and play. When you decide to show up, you’ve already tacitly said “I’m in.” And, so you are. There’s also something bigger that happened. Something seemingly out of our control. Again, it’s something we’ve witnessed in the consumer revolution and movement work, across the board. Regardless of your level of work and planning and expectations, there is a certain amount of spontaneous co-creation that fuels this sense of transcendent awe that we have little control over. Nor should we. At some point, mine becomes ours. That terrifies many people. Trusting that you’ve done a good job of establishing the guiding ethic, message and vision, then trusting in others to take shared ownership and become co-visionaries, co-movers and shakers, co-revolutionaries. This moment is, in fact, an experience of pure grace. That elusive tipping point where your blood, sweat and tears become an exponentially expanding ripple of humanity and power. If you let it be. In the end, there’s a certain amount of work, but also a certain amount of space. You do the work from the right place, create the container knowing full-well if you do your job right, nothing will be containable. You surround yourself with a team that lives by that same lens and trust that’ll be enough. It’s at once terrifying, while also being everything you’ve hoped for. It’s what turns customers, clients, colleagues and campers into sisters, brothers, family, friends, collaborators, raving fans and evangelists. It’s the drop that turns into the ripple, then the tidal wave. It’s the moment you go beyond building a business or brand and, instead, co-create a living, breathing engine of belonging and belief. Before I wrap this, I want to share my favorite moment from camp. After breakfast, each day began with a talk from me about a big concept. On the final morning, I decided to change things up. As much as I’ve been front and center in the Good Life Project brand, I am also very much just one person among a band of friends who make the impossible possible. I can’t begin to express how much I love and appreciate this crew. On that team is our Chief Experience Officer. 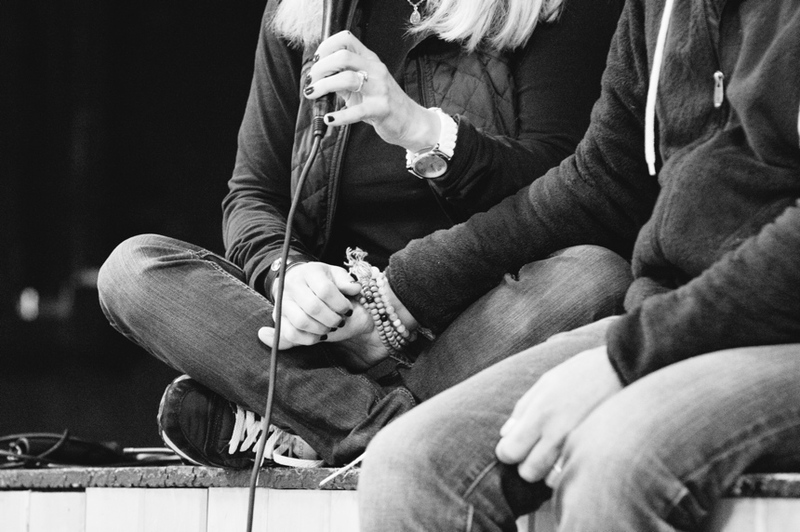 With all of our live events, retreats and gatherings, she’s the person behind the scenes who makes everything hum. She’s the real genius. And, by some benevolent quirk of fate, she also happens to be my wife, Stephanie. She was the Director of Camp GLP. The real brains behind the experience. The heartbeat. And, along with my kiddo, my heartbeat. So, on the final morning of camp, instead of speaking about storytelling, I asked her to join me on stage for a casual audience Q&A. I knew so many people had questions for both of us about everything from creating an event like this to working together. I shared what I wanted to do with the gang and asked her to join me. She stood up and began to walk over. And as she did, 250 people, friends who days before had been strangers, rose to their feet to whoop and holler and applaud. I’m getting chills and a lump in throat just recalling that moment. When it happened, I could barely speak. Thankfully, with so much grace and beauty, she could. That was my magic moment. Seeing her, for the first time, step out from behind the curtain, and receive so much love. Amazing what happens when you have an idea, a strong sense of who you want to serve, why and how, you plant a seed that summons a tribe connected by shared values, beliefs and aspirations, then give them a reason and way to come together. The label doesn’t matter. Just get it out of your head. Put it into the world. Rally people around it. P.S. – If you wanna learn more about creating your own engine of belonging and belief, download the Art of Revolution guidebook (it’s free), or check out the training (it starts Monday), then come learn more and ask questions on my Friday webinar. I was very sorry to miss Camp GLP (my niece got married that weekend). After watching the video, I’m even sorrier. I hope you do this again next year because it looks and sounds incredible. In the meantime, I’ll be checking out The Art of Revolution. Thanks for sharing all the good things that came from camp. I dunno JF. You spook me. I haven’t resonated so deeply with a tribe for a very long time. Yet I trust you. Weird. I’m really glad I joined Rev U. This post made me feel really good. And happy. That’s unusual and I anticipate I will carry this through the next few months with you. For some reason, I think I’ve always known you. Maybe because I’ve followed you for years or maybe because your work found my soul-strings. You find the things that nourish me. Either way. I thank you. You are impacting my life in the right way and I want to know every person that shares this vibe. You’re cool man. Thank you. There’s one reason I came to camp. I’m not one of the younger people and it was no small thing to get on a plane, knowing no one, and fly thousands of miles to give it a try. Here’s the reason. Isn’t it time? Aren’t we the ones? It’s time for real change in how we live our values out loud and learn to love the strangers in front of us. I came to camp to meet one man who had the courage to say these things and stand for a new way. I also met my tribe: 250 others who have the same courage, hearts full of love and enough talent to rock this world into a bright new paradigm. I’m in. Stay with me Camp GLP. This looks amazing, I would love (and hope to) join next time. Well done to Jonathan, Stephanie and team!